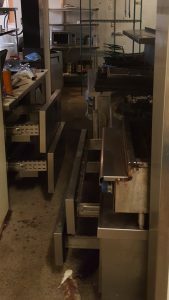 Why Use Ampm exterminators Inspection Service. Whether you need protection or complete eradication, a thorough pest inspection is the first step towards getting more information on, What is the pest the scale of the infestation, What are the entry points to your home or building how the vermin got in, The most suitable methods for extermination, removal control .Bellevue is the fifth largest city in Washington, with a population of more than 140,000. It is the high-tech retail center of the Eastside, with more than 140,000 jobs a skyline of gleaming high-rises. Healthy, vibrant neighborhoods are the city’s greatest asset. Working with residents to protect that asset is the mission the daily business of the Neighborhood Outreach Team. Bellevue’s vision of a “city in a park,” the Lake to Lake Trail connects Lake Sammamish in the east to Lake Washington in the west with over 800 acres of parkl, boggy wetlands, fir forests farms. The trails are mostly flat well labeled, you can enter or exit from any of the nine parks along the route. Spy blue herons wading in wetlands at Mercer Slough, enjoy salmon splashing in Kelsey Creek, watch as Bambi friends prance through Weowna Park. Newport Hills, covering a plateau between Coal Creek Lake Washington, was nearly fully developed when the city annexed it in 1992. The Lake Heights Newport Hills neighborhoods are cohesive communities, featuring a wide variety of housing types. Both neighborhoods enjoy a strong sense of community, both are represented by long-standing, active neighborhood associations. Newport Hills’ single-family, multifamily neighborhoods are generally oriented toward the retail center on 119th Avenue Southeast. On the west, Newport Hills is separated from I-405 by steep ravines tree-covered hills. To the east, the neighborhood is bordered by the 146-acre Coal Creek Natural Area. Once a secluded area of woods wetlands, Newport was either a home or migratory corridor for an abundance of wildlife, including deer, coyotes, mountain beavers, raccoons, possums, squirrels, red-tail hawks eagles. The Coal Creek Newport Hills waterways once supported runs of salmon steel head, but urban development past coal mining in the area have reduced the streams’ ability to sustain fish populations. Ampm exterminators is a proud member of the community always participating in keeping a health clean environment. Providing pest control services for carpenter ants, mouse/mice problems, rats, bed bugs, beetles, moths, flies, termites, wasps, spiders, yellow jackets, hornets any other household pests. To get rid of Bed bugs,rats,ants, insects, spiders or other pests keep them gone, you need an expert exterminator who can do the job quickly, safely, effectively for residents commercial properties in bellevue surrounding communities.Trained exterminator to deal with unique challenges of pest control in the Northwest From aggressive rats/mice infestations, uncomfortable bed bugs, nuisance ants other insect populations that rise each season. Natural Green Eco-Pest Control methods that are family pet friendly. RODENT CONTROL REMOVAL SERVICES– Most rodents encountered within the Bellevue area are rats, mice, squirrels. Squirrels are a “nuisance wildlife” problem are dealt with carefully. Rats mice, however, cause considerable damage spread filth disease. 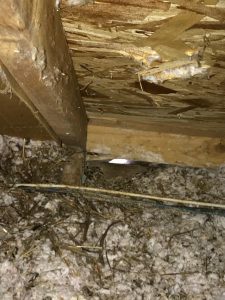 Rats commonly nest in home commercial building insulation causing it to decompress lose much of its insulation value. The insulation is also contaminated with rat filth, feces urine. The cost to replace insulation decontaminate an attic or crawlspace can be high. Rats also gnaw into electrical insulation on wires causing short circuits even fires. Rats also contaminate stored food damage stored items parts of homes Commercial buildings. Ampm Pest Control specializes in rat, rodent mouse control in the city of Bellevue. Ampm exterminators are trained to inspect fix rodent issues, assess rat infestations plan control measures to eradicate the rats or mice. ANT REMOVAL CONTROL SERVICES–Sammamish,Kirkland,Kent,Renton Redmond, Issaquah. So why are there so many ants in Seattle? wherever homes or buildings are built with no understanding of what causes ants infestation, you will have a bigger ant problem, especially with odorous house ants or little black tiny sugar pavement ants have very large complex colonies . More than likely if you’re in Seattle have an ant problem, part of that nest is located at your house, your neighbor’s house, your other neighbor’s house, your neighbor’s neighbor, beyond! This is why in Seattle we recommend our quarterly service as opposed to our one-time treatments. It can take a few treatments to get rid of them” Ants problems can come in two forms: nuisance ants that plague your kitchen other areas inside the home, wood destroying ants, such as carpenter ants. Carpenter ants are very prevalent throughout Bellevue.Carpenter ants can easily adapt to the wall cavities of homes move in, then continue to tunnel into the wood eventually causing significant damage requiring a contractor. Other nuisance ants found in Bellevue that roam throughout homes commercial business buildings include the “Odorous House Ant” Pavement ants commonly known as little black sugar ants. Local Bed bugs Control Service:Killing all bed bugs on your bed frame headboard. Normally this would be done by a pest control professional. All bed bugs in the typical infestation are located on the mattress, box spring bed frame. You’ve encased the mattress box spring taken care of that problem. Now you have to make sure that your bed frame is bed bug free. Vacuuming alone won’t do this. 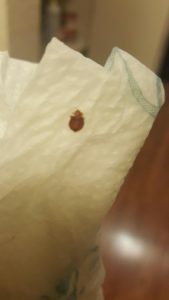 Vacuuming can remove many bed bug adults nymphs, but it isn’t very good at removing eggs. For this job you’ll need insecticide sprays possibly dusts to treat every crevice void in your bed. Remember that insecticides can be hazardous if you don’t follow label directions. Read the whole label before spraying or dusting. The label directions are the law failure to follow the label not only puts you your family at risk, it is against the law. Homemade sprays, by the way, are usually less safe than commercial insecticides. COMMERCIAL EASTSIDE PESTS CONTROL SERVICES:Ampm Pest Control Professionals remove Bed bugs,Rats Spiders, Earwigs, Cockroaches, Food Pests(gnats), Clothes Moths, Yellow Jackets, Bees, Termites . While business booms downtown, much of Bellevue retains a small-town feel, with thriving, woodsy neighborhoods a vast network of green spaces recreational facilities that keep people calling the place “a city in a park.” The city’s schools are consistently rated among the best in the country. The city spans more than 31 square miles between Lake Washington Lake Sammamish, is a short drive from the Cascade Mountains. People can kayak within sight of downtown in the Mercer Slough Nature Park, a 320-acre wetland preserve. The population is growing becoming more diverse. According to the census, minorities constituted 41 percent of Bellevue’s population in 2010, more than 50 languages are now spoken by children in Bellevue public schools.